Here at jebiga, we know how important good boots are, especially if you need them for a specific purpose, like for snowboarding. 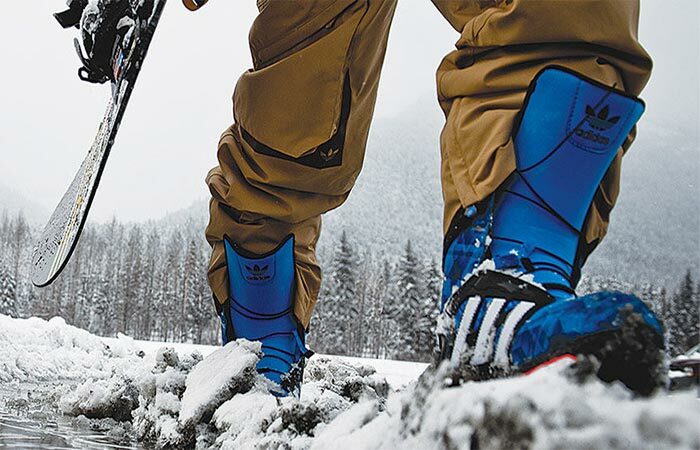 Adidas created ultimate snowboarding boots that feature their groundbreaking energy-return Boost technology. Adidas Energy Boost Boots are very good at absorbing shock and transferring the energy back to your foot, especially in freezing cold weather. To create these boots, the company incorporated the best features and technologies gained after ninety years of making athletic shoes. Adidas Energy Boost Boots are made from durable and supportive textile and have a synthetic upper. The Boost foam offers dynamic support and cushioning and the rugged outsole is designed to provide great levels of traction in any condition, on any terrain. It also beats the traditional EVA foam cushioning since Boost foam is three times more resistant to temperature change. 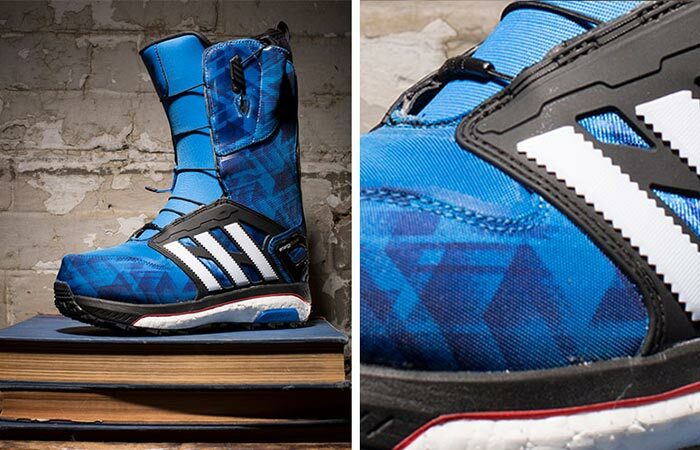 These Adidas snowboarding boots feature groundbreaking energy-return Boost technology. “The material itself is a solid granular TPU that is literally blown up and turned into thousands of small energy capsules. With their unique cell structure, these capsules store and unleash energy. It’s unrivaled by anything in the market. It’s truly unique to the snowboarding world.” – said Mike Fox from Adidas Snowboarding. Everyone can agree that comfort is one of the most important properties a boot can have. Adidas Energy Boost Boots have heat moldable Ultralon liner with a wrap design that will hold the foot comfortably, eliminate pressure points and gaps. This merino wool liner will also provide you with the necessary warmth. Adidas Energy Boost Boots perform great in any condition, on any terrain. Dual Zone Lacing System allows you to tighten the upper and lower boot separately. This is very useful for freestyle riding since you can loosen both zones independently. One more cool thing about these boots is the molded footbed made from odor-neutralizing material. They are available in blue and black/solar red.